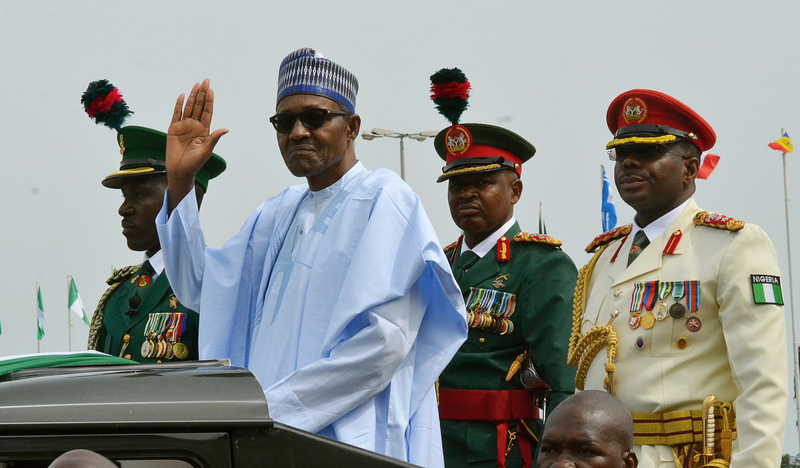 Muhammadu Buhari GCFR is currently serving as the President of Nigeria, in office since 2015. He is a retired major general and has previously served as the nation's head of state. Stears concludes its recap of previous elections by looking at the heated and surprising 2015 edition. The 2015 Elections will go down in history for the sheer surprise of the result. A victory for a perennial contender and the defeat of an incumbent president signalled a growing sophistication and sense of activism within the voting polity. For some, the outcome of the 2015 elections was the high point of a presidency that has subsequently disappointed in its quest for change; for others, it was a result that renewed hope for the future of Nigeria’s democracy. On February 6th, 2013, a plan that had been in the works for a few years was finally announced to the Nigerian people. The three most prominent opposition parties in Nigeria: the All Nigeria Peoples Party (ANPP), the Congress for Progressive Change (CPC), and the Action Congress of Nigeria (ACN), with the help of a faction from the All Progressives Grand Alliance (APGA), formed arguably Nigeria's most prominent opposition party. The goal: beat the People’s Democratic Party in the 2015 general election. The execution was carried out pristinely; the result made history. On February 16th, 2015, former president Olusegun Obasanjo tore his PDP card in front of the press and endorsed the APC candidate, Muhammadu Buhari. Obasanjo had beaten Buhari in 2003, and his successor, the late Umaru Musa Yar’Adua also beat Buhari in 2007. Obasanjo had previously been vocal in his support for then Vice President Goodluck Jonathan in 2010 when forces loyal to the late President Yar’Adua kicked against the constitutionally mandated succession. A year later, he backed Jonathan as he beat Buhari in the 2011 general elections. 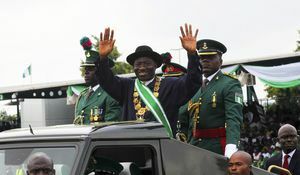 Jonathan’s 2011 victory was met with a lot of hope and fanfare. It had been seen as a triumph of democracy. Nigerians felt they finally a president that they could relate to, one who came from nothing. 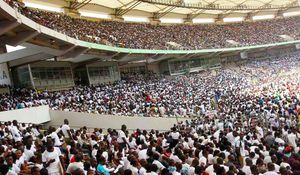 That enthusiasm quickly dissipated with the Occupy Nigeria protests that followed a year barely after Jonathan’s election. By 2014, the administration's handling of the Boko Haram insurgency was disappointing, while the reaction to the abduction of the Chibok girls was underwhelming at best and deliberately negligent at worst. It did not help the Jonathan administration that the APC campaign team had deployed a lot of resources towards highlighting the high levels of corruption in the Jonathan administration. On March 28th, 2015, after an initial postponement, Nigerians went to the polls. The election was monitored by observers from ECOWAS, AU, EU, and the Commonwealth and was adjudged by the UN to be a peaceful election despite Boko Haram attacks in some parts of the country. A few days after polls closed and as results were being collated and announced by INEC, it became clear that the incumbent president, Goodluck Jonathan, had lost the election. He called his rival, General Muhammadu Buhari, and ceded the race. Meanwhile, the APC seized control of the National Assembly and several state houses. The weeks leading up to the 2015 election were filled with questions. The country was in a delicate position, with Boko Haram in the North, recurring militancy in the Niger Delta, and a large and motivated supporter base for Muhammadu Buhari. If Goodluck Jonathan refused to step aside, the country would have been immediately sent over the edge with violence. However, in conceding and making it clear he would step aside, Jonathan not only prevented bloodshed, but he also injected oxygen into Nigeria’s democracy by setting a precedent for the peaceful transition of power from an incumbent to a challenger. For the Nigerian people, the 2015 election was humbling, and a reminder of the power Nigerians can have in their governance, and that parties, no matter how big or how powerful, can lose. It also marked the advent of a growing youth population who campaigned on social media and made their stand for a change in power. For the PDP, it was the beginning of a new role as the opposition in a democracy. For the APC, they saw the relationship between the electorate and the Jonathan administration sour, something that could easily happen ahead of the 2019 polls.